LG has officially unveiled the Q9, the newest addition in its Q series. However, this isn’t an entirely new smartphone in the gallery as it is almost identical to the G7 Fit, including the numbers on the spec sheet. 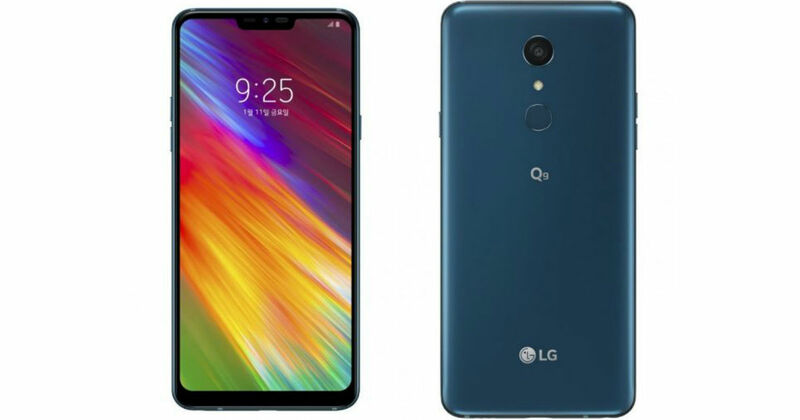 The new LG Q9 seems to be a rehash of the former G7 Fit on the designing aspect too. Launched in August last year, the G7 Fit has a 6.1-inch notch display, a quad HD+ resolution and an IP68 rated water resistance, all of which are offered in the new Q9 as well. However, there are three new colour options for the latest smartphone – Aurora Black, Moroccan Blue and Carmine Red. The other identical features of the LG Q9, to that of the G7 Fit, are the 4GB RAM and 64GB ROM (internal storage) on the memory front. The processor is built on a Qualcomm Snapdragon 821 chipset, which seems to be a little dated. Furthermore, it boots Android Oreo (8.1) out of the box. Barring a couple of dated specs, there are several other standout aspects in the LG Q9 too. It inherits the same durability and amazing multimedia that the brand is known for. For the wired audio, the smartphone gets the high-quality Quad DAC, while for the loudspeaker sound solution, there is a Boombox speaker. The audio can be routed via a 3.5mm jack. The smartphone feeds on a 3,000mAh battery that comes with Quick Charge 3.0. The rear has a 16MP camera, while there is an 8MP selfie lens on the notch up front. Google Assistant is also offered, albeit via a dedicated key. This new Q9 is targeted for the students in South Korea and will go on sale on July 11 with three major carriers in the country. It will carry a price tag of KRW 500,000, which is roughly INR 31,199.